P&O Cruises Australia operates a fleet of five mid-sized ships to destinations spanning Asia, Australia, New Zealand, Pacific Islands and Papua New Guinea. They have a new ship on order, launching in 2019. 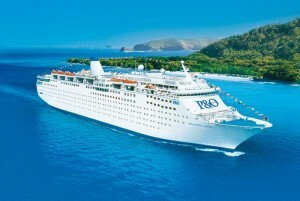 P&O Cruises Australia is part of Carnival Corporation (separate company from P&O Cruises in the UK). Their fleet includes Pacific Dawn, Pacific Jewel, and Pacific Pearl. In November 2015 the Pacific Aria (ex-HAL Ryndam) and Pacific Eden (ex-HAL Statendam) also joined their fleet. Although the Pacific Pearl is scheduled to leave the fleet in March 2017, P&O Cruises Australia will welcome Pacific Explorer in May 2017. Princess Cruises’ Dawn Princess will be transferred to the P&O Cruises Australia fleet and will be named Pacific Explorer. They recruit an international crew and have approximately 3,500 crew currently work on board the P&O Cruises Australian fleet. All three ships offer children and teen programming. To register your interest in working for P&O Cruises Australia, visit their career pages. Their website also enables you to search for cruise job vacancies within their company.